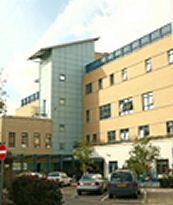 The National Centre for Adolescent and Adult Females with Congenital Abnormalities of the Genital Tract is based at Queen Charlotte's & Chelsea Hospital, Du Cane Road, London W12 0HS, part of Imperial College Healthcare NHS Trust. The Centre offers help and advice to adolescent and adult females with Mayer Rokitansky Kuster Hauser (MRKH) syndrome. We aim to provide an approachable, informed, friendly service.